Property development and investment company, Atterbury, has concluded a significant B-BBEE transaction that sees the Atterbury Property Fund (APF) now being 30% owned by Talis Investment Partners (TIP) and 70% owned by Atterbury Property Investments (API), a subsidiary of Atterbury Property Holdings. APF houses all Atterbury’s South African investment assets with a gross value of R4,1bn and a development pipeline estimated in excess of R6bn. APF also has a 28% stake in the newly launched Divercity Urban Property Fund, an investment fund that is focused on urban renewal with a unique emphasis on inner-city mixed-use precinct development. Divercity’s gross assets include a development pipeline of R1,5bn and total R2,4bn. “Atterbury has a 24-year-long track record, starting out in 1994 at the same time as democratic South Africa. We have intended to do a meaningful B-BBEE deal for some time now and have been looking for a partner that shares our common values,” says chief executive officer and co-founder of Atterbury, Louis van der Watt. “We found that and more in Talis’s Tebogo Mogashoa. Tebogo, who is also the president of Wildlife Ranching South Africa, of which I am a director, moreover shares a passion for farming. Besides 30% black ownership, APF has also secured an exceptional and experienced board comprising a majority of black directors, 40% of whom are black female directors. The APF Board consists of Mogashoa as its chairman, with other members being Van der Watt, executive chairperson of Sigma Capital Phuti Mahanyele, APF chief financial officer Seilatsatsi Tshabalala, and the chief executive officer of RMH Properties, Brian Roberts. Full thanks and acknowledgement are given to Atterbury for the information provided. 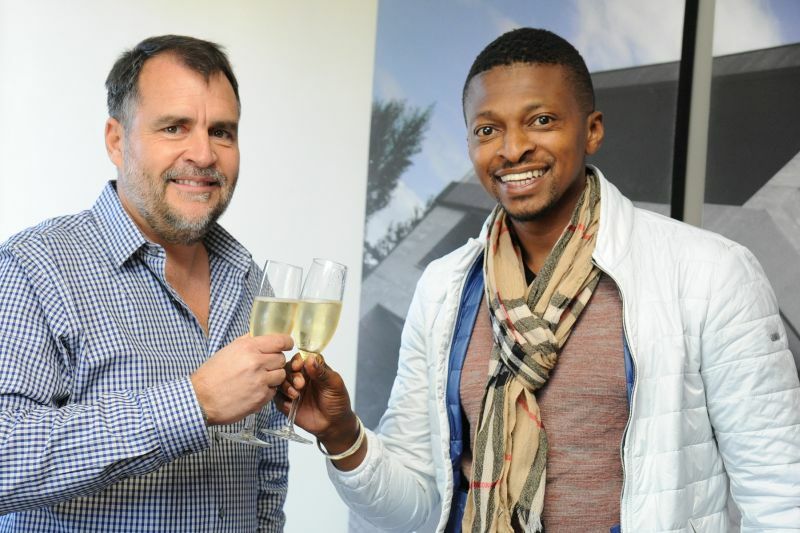 Main image: Atterbury’s Louis van der Watt and Tebogo Mogashoa, chairman of Talis Holdings, celebrate the B-BBEE transaction that secures 30% black ownership of Atterbury Property Fund (APF).